Do you need an items made of Quartz? If the answer is YES, appeal to professionals, who will fill you needs and give you full range of items made of Quartz on market, this professional is JV “Quartz”. Quartz rods, or stacks, as they are also called, are one of the most widely produced derivatives of quartz glass. Due to its chemical-physical characteristics, quartz glass is extremely resistant to a sudden temperature changes. This determines the range of use of quartz products in production. Stacks are widely used in the semiconductor, lighting and chemical industries. They are used for the production of quartz fibers and accessories, an impressive list of radiating systems and devices for heating. 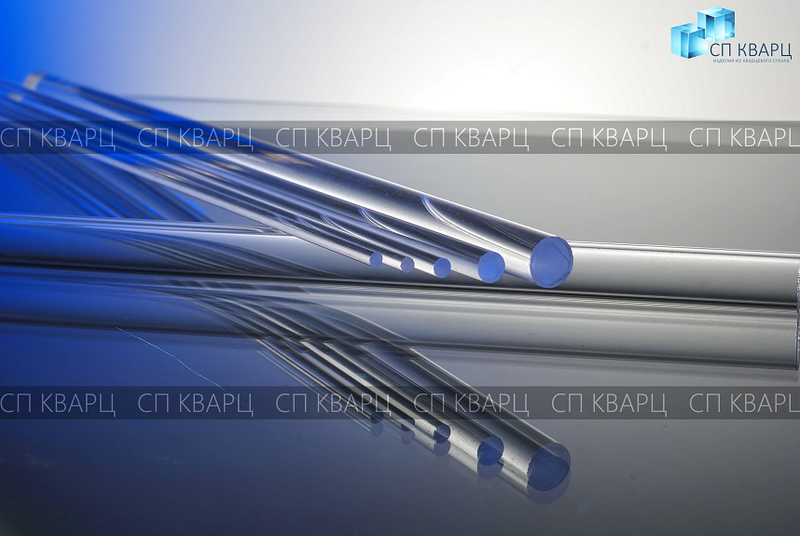 Depending on the quality of the material, quartz rods are divided into two types: made of transparent glass, conducting rays of visible light spectrum, and from the opaque – infrared rays. Products made of quartz glass are characterized by a smooth, fused surface. Stacks are resistant to blackening, crystallization, thermal and chemical effects. Do not allow any inclusion in the mass or on the surface of the glass. Amorphous form of silicon oxide located in quartz glass, insure low coefficient of temperature expansion and heat conductivity, due to their use in various industries production, adjacent with a high amplitude of temperature fluctuations. As standard stacks 3 to 20 mm in diameter are made, but it is possible to produce quartz rods in other parameters under order. JV “Quartz” offers to customer’s high-quality high-tech products that meet the technical requirements of domestic and European standards. We take orders for supplies in both industrial and retail scales. A convenient and flexible system of orders allows you to agree on the parameters and the volume of deliveries.